The metroplitan cities and rolling hills of England. The towering bens and mysterious lochs of Scotland. The lively nightlife and warm hospitality of Ireland. These are all amazing attributes of the island kingdom of Great Britain and Northern Ireland and the appeal of them brings in an estimated 12 million visitors every year. And yet one quarter of this diverse country is largely ignored and in the humble opinion of this writer, it is the part that has the most to offer. Wales, or Cymru as it is known in the Welsh language, is in a sense a microcosm of the best aspects of the rest of the United Kingdom. Lively cities, like the capital Cardiff (Caerdydd) offer a varied nightlife and great shoppin; small clusters of stone cottages cling to hillsides in green valleys; medieval castles stand guard over walled towns. I grew up in Gloucestershire, the south west county that shares a border with Wales. Every Easter we would pack the tent into the car (or hitch up the trailer in later years) and head into the Brecon Beacons, a range of mountains in the region called Mid-Wales. 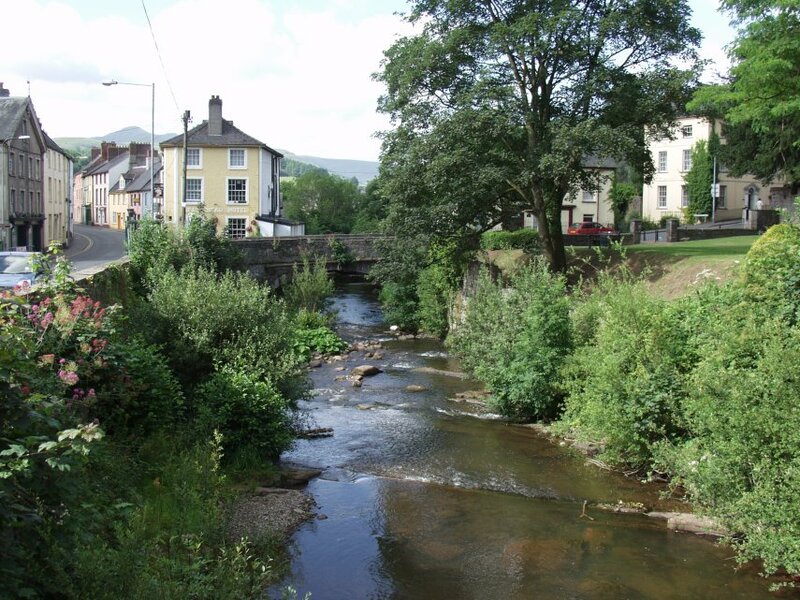 We camped near the tiny village of Sennybridge and would venture into the sprawling metropolis of Brecon (Aberhonddu), a town of 8000 people best known for the South Wales Borderers Museum. Housed here are the 11 Victoria Cross medals awarded to this branch of the Royal Regiment of Wales during the 1879 Anglo-Zulu war made famous by the Michael Caine movie, Zulu. 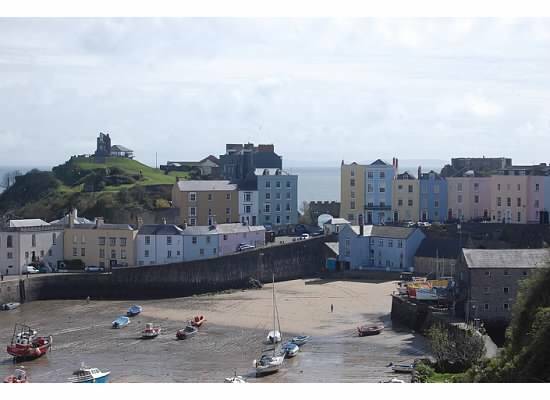 In the summer we would head further east to the beautiful coastal town of Tenby (Dinbych-y-Pysgod). Entirely surrounded by a Medieval fort from the 13th century, this walled town caters to tourists with pub gardens, fish and chip restaurants and gift shops selling every tacky item you can imagine! It’s a local bylaw that no two neighbouring houses can be the same colour so a patchwork of pastel coloured facades lines the sloping streets and perches on a cliff face above the 2.5 miles of wide sandy beach. A short boat ride from Tenby is Caldey Island. There are no vehicles on this stunning island, dominated by a large working monastery. The monks sell their famous Lavender Perfume in tiny stores and the most amazing chocolate can be purchased in a small, traditional factory, the quality of which can possibly be explained by the fact that the monks are of a Belgian order that arrived on the island in 1929. A short walk to the east side of the island brings you to a nature reserve where the craggy coastline is home to seals and a variety of seabirds. My family’s fall holidays usually involved renting a traditional cottage somewhere in the magnificent north of the country, where Snowdonia National Park dominates the landscape. 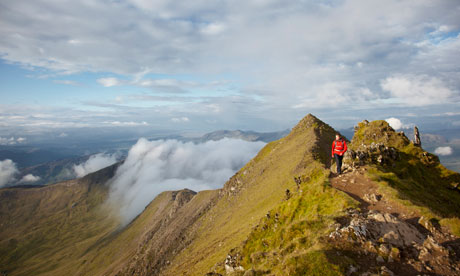 At 1085m, Mount Snowdon is a novice hiker’s mecca. It’s a fairly easy peak to conquer with many well defined paths. A 19th century rack and pinion railway offers a leisurely alternative for those who don’t want to attempt the walk. And from the top the views across the spectacular glaciated valley are said to be the best in the British Isles, on clear days stretching to England, Scotland, Ireland and the Isle of Man. Just off the coast of the northern tip of Wales is the island of Anglesey (Ynys Mon) connected to the mainland by a 19th century suspension bridge designed by Thomas Telford as well as a modern arch bridge. Our stays in North Wales always included a trip to this beautiful area. Boat trips to view the puffins inhabiting the coastline around the town of Beaumaris (Biwmares) were a must, and as kids we would always insist on a visit to the tiny village with the longest place name in the United Kingdom, Llanfairpwllgwyngyllgogerychwryndrobwllllantisiliogogogoch! And yes, I do know how to pronounce that! Near to the busy port of Holyhead (Caergybi) at the south-west tip of Anglesey we happened upon the Ty Mawr Hut Circles. 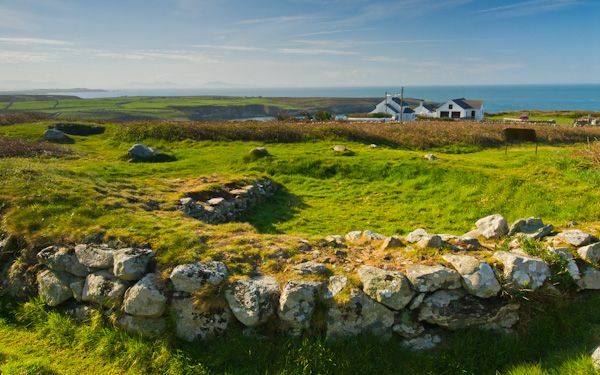 This amazing site features the remains of 20 stone dwellings, stores and workshops, some dating back over 4000 years. They are remarkably well preserved and give an incredibly atmospheric view of Neolithic life. One of the most peaceful moments I’ve experienced on my travels was watching our hyperactive dog walk through the entrance way of one of the circular ruins, curl up in front of where there had obviously been a fireplace and fall fast asleep. 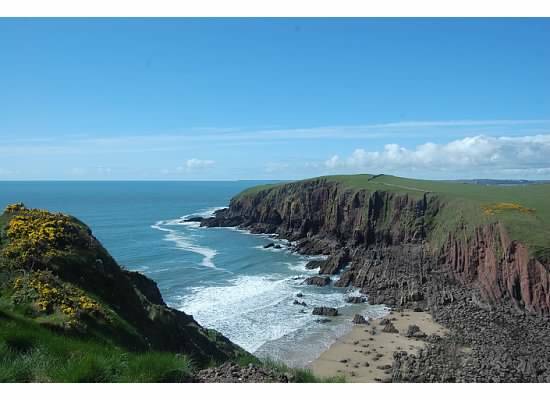 From the stunning beaches in the south to the towering mountains in the north, Wales caters to every taste. The people are warm and friendly, particularly if you take the time to learn a word or two of their native tongue! 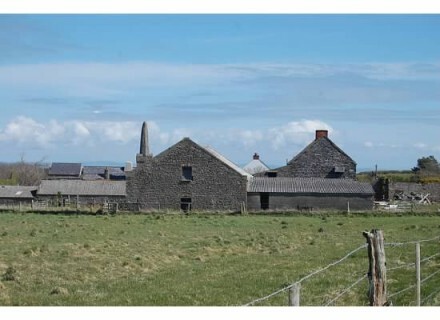 (There are some villages in the north where Welsh is spoken as a first language.) I urge anyone considering a visit to the UK to take a quick detour and experience at least a part of what this historic, ethereal land has to offer.